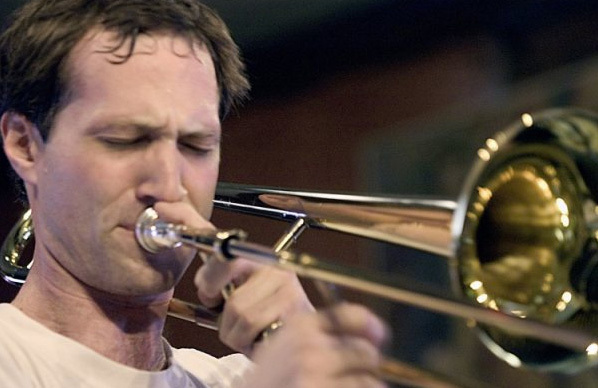 JUNO-nominated & Galaxy Rising Star winning Toronto trombonist Darren Sigesmund appeears with his new quintet featuring New York heavyweights Mark Feldman (violin) & Gary Versace (accordion & piano). Sigesmund synthesizes wildly diverse influences from jazz, Latin, East European & classical music into new works for the quintet. Mark Feldman has appeared on over 150 recordings and is perhaps best known for his work with John Zorn, John Abercrombie & Dave Douglas. Gary Versace has appeared on over 50 albums, including two Grammy-winning projects by Maria Schneider.